Merry Christmas to all, and thank you to everyone who takes the time to drop by this blog and read my ramblings! And a little re-run of a suitable machinima; please excuse the self-indulgence! I caught a Tweet on December 22nd (my apologies to the sender, I forgot to bookmark it and so can’t state form whom it came It was Rocky Constantine, as he correctly reminds me in the comments) which pointed those reading it to an article on the PSFK website with the enticing title, A Look Into a More Social Virtual Reality With the Makers of Second Life, by Ido Lechner. It makes for an interesting read. The banner image is that of Second Life – and for once, it’s actually post circa 2010, and is quite reasonable in looks, and gets kudos points for being there, rather than the more usual 2007/8 images which tend to get used. Although that said, an image of the old v1 UI, circa 2007/8, plonked in the middle of the article doesn’t do SL any favours. After a slightly blusterful introduction lauding Virtual Reality for already being a major disruptive force in our lives (and then admitting it has yet to go mainstream), the article settles down to discuss – and the title suggests – the more social aspects of VR in a chat with Lab’s own Ebbe Altberg and Director of Global Communication, Peter Gray. PC games have traditionally had a heightened learning curve for older audiences who have a hard time navigating worlds with mouse and keyboard, but Project Sansar looks to be an all-inclusive medium thanks to a more instinctual set of controls. Gesture-based movements, advanced expressive avatars (the kind that’s rigged to your real life expressions), voice chat, haptic feedback and other progressive modes of interaction will all be welcome additions to the game. That the Lab is looking at the plethora of new hardware that being developed around the first wave of VR headsets isn’t exactly news – Ebbe Altberg has pointed to this very fact a number of times of late. However, it does again point to the fact that while very distinct and separate entities, “Sansar” and Philip Rosedale’s High Fidelity are in some ways travelling the same road in terms of aspirations with their ability to adopt emerging technology. But there is something else in this statement which draws my attention. When it comes to all these new and wonderful ways of interacting with the digital, people are very quick to blame the keyboard and mouse. In 2014, for example, Philip Rosedale when addressing the VWBPE conference that year, directly pointed to the poor old keyboard and mouse as being one of “the” technological barriers to entry into virtual environments. Yet the fact is, the keyboard and mouse have been our primary means of interaction with computer systems for so long that using them is sort-of “intuitive”; we can all grasp their use pretty easily. Who is to say all these wonderful now methodologies for interaction won’t also bring their own issues with them, thus presenting those “older audiences” Lechner mentions with precisely the same kind of “heightened learning curve” as is perceived to be the case when it comes to using the keyboard and mouse within certain environments? 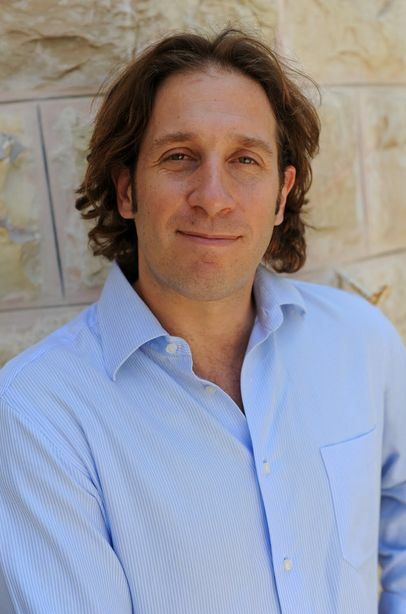 Another common thread between High Fidelity and “Project Sansar” (which again should not be taken to mean the two are in any way linked) comes in the persona of Jeremy Bailenson of the Virtual Human Interaction Lab at Stanford. Bailenson serves as an advisor to High Fidelity, alongside of Tony Parisi and Ken Perlin in particular, and as I’ve previously covered in these pages and Peter Gray states to Lechner, Bailenson’s work is greatly influencing the Lab’s approach to Sansar, which is no bad thing. Certainly, Bailenson has offered some incisive views on the potential and pitfalls in VR, and his views and outlook are very relevant when considering the social / psychological impact of VR. Hence the Lab would seem to be availing itself of the right spheres of influence as it develops “Sansar”. The focus on the social aspect of Second Life (and potentially of “Project Sansar”) is an interesting new direction to take when comparing this with earlier media discussions the Lab has had. In those, the focus has tended more towards emphasising the potential for “Sansar” among a defined set use cases with those vertical markets where VR can be seen has having great potential: education, training, design, healthcare, architecture, etc (again, it is no accident that the first public demonstration of “Sansar” came during San Francisco’s month-long Architecture and the City Festival in September 2015). Although all of these do get a mention at the end of the piece. Certainly, there can be no doubting the social power that Second Life has, and both Altberg and Gray are entirely correct in pointing towards the added depth the environment has given developing relationships. So really, there is no reason to doubt that, as / if / when “Sansar” can be accessed by more-and-more people, the same cannot be repeated there. It simply comes down to people not seeing Second Life as having relevance in their daily lives. Given that VR is supposed to bring us a whole new world of immersive opportunities, distractions, capabilities and so forth, all designed to keep us informed, entertained, involved and immersed – who is to say “Sansar” and environments like it also won’t face a similar uphill batter when it comes to people seeing them as relevant to their already involved physical and virtual lives? Which doesn’t mean the I don’t think “Sansar” will “fail” or isn’t worth the effort. The Lab does need to move with the times, and there is certainly no reason that while Sansar may remain niche is a similar manner to SL having always been niche, there is no reason why it cannot settle into a much larger niche. Or, as seems more likely to be the case, take up residence in multiple niches and ride along comfortably within them. It’s been two years since my first visit to Asalia House, the homestead region primarily designed by Ryu and Kyo Asalia. 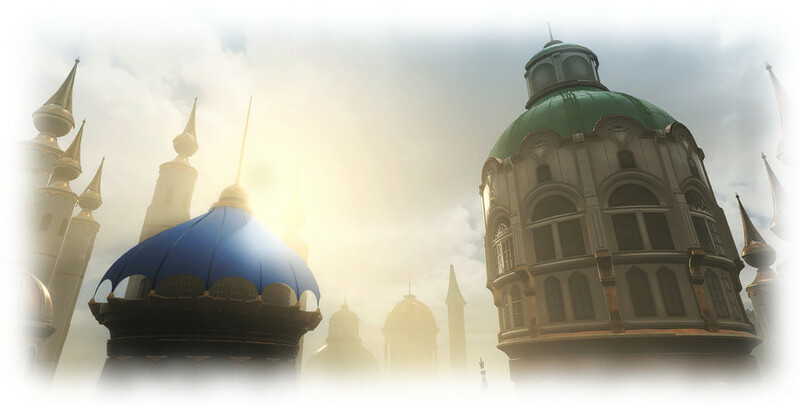 As two years is a very long time in Second Life, I was intrigued to see the region to still be in place, and headed over to take a look at what may have changed in the intervening time. Back in 2013, the region was split into three islands, all of which offered something of a tropical look and feel. This island theme remains, but it is now very different – which is not to say any of the photogenic quality of the region has been lost. Not at all. The largest of the three island is a rocky affair, caught in the midst of winter; snow falls from above, covering the landscape in a growing white blanket. A road snakes along the north side of the island, although it doesn’t really go anywhere; at one end it faces the frigid waters of the sea, at the other, a set of steps bar further comfortable progress were you to be driving. It does, however provide a dramatic view out over the misty waters to the single finger of a lighthouse rising to the north-east. Above the road, sitting on a flat plateau of rock into which a stepped path has been lain to provide access, sit two wood-panelled cabins, their tin roofs rusting slowly. A sign outside suggests these might be a motel – but it is deceptive, and merely part of the bric-a-brac to be found without and within the cabins. There are not the only buildings on the island, further along the road sits a small studio cabin, whilst set over the cold sea, and reached by passing under a natural arch of rock from the road, sits a studio converted from an old shipping container. Don’t let the apparent simplicity of the island fool you, however. There is much to be found, including motifs which help give it the feeling of being a place – such as the stone arches standing guard on either side of a small stone bridge, and at the edge of the snow-covered field standing beyond the bridge. These suggest this island was once the location for a much older building or buildings; a feeling increased by the ruin sitting just off the coats, and the old stone walls to be found alongside the road, and which form the outline of a structure next to one of the arches. After exploring the main island, should you find yourself feeling a little cold, look to the north-west and you might see a faint glow. This marks the location of a smaller, marshy isle, free from snow and the cold, where you can sit on a crescent moon and watch the world turn around you. In introducing me to Asalia House in 2013, Eddie Haskill described it as “magical”. He wasn’t wrong then, and that description still applies today. It’s most certainly not a place to be missed by the discerning SL traveller.